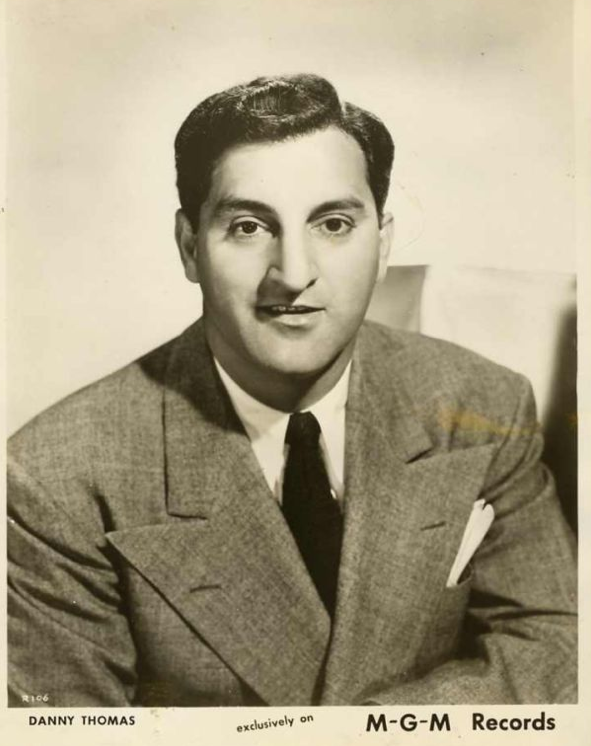 Bobby Ramsen: Danny Thomas was a radio actor from Detroit. Albeit he was a Roman Catholic, he was of Lebanese extraction. There's a big Lebanese community in Detroit. Danny went into a big club in Chicago called The 5100 Club. That was the address so it was called The 5100 Club. 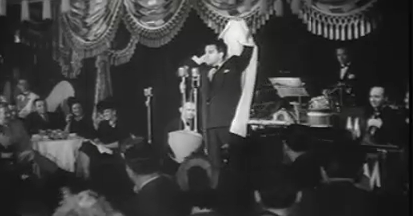 His famous routines were putting a table cloth over his head and doing the wailing Syrian. 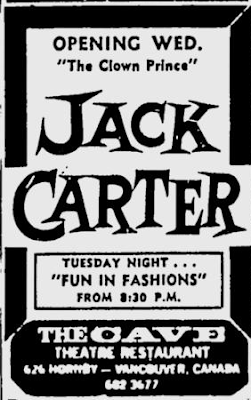 The other routine, that he made his own, was an old joke called "The Jack Story." You know it? A guy buys an automobile and the car breaks down. Gets a flat tire. He opens the trunk and he had just bought it recently and there's no jack. So he starts to talk to himself. "I bought this car! It cost me twelve hundred dollars! No jack!" He is pacing as he does this in front of the microphone. Danny had such a wonderful voice and presentation, "I need a jack! I got no jack! Now I gotta walk?! Ah... Ah... it's not so bad. It's not so bad. I'll get there and he'll see that I walked and I'll get my jack and he'll drive me back. But what if he says I can't drive you back? I'll have to walk! I'll have to... in this weather!? This guy won't even drive me? What kind of a human being is this?!" And Danny Thomas is building the story. The guy isn't going to drive him back, the guy is going to charge him a lot of money - and it gets one laugh after another and finally the punchline is - he walks in and says, "Listen, mister. You can take your jack and you can [shove it]!" So, it's an old joke but Danny made it his own by dramatizing it so well. Thomas was also a very good singer. 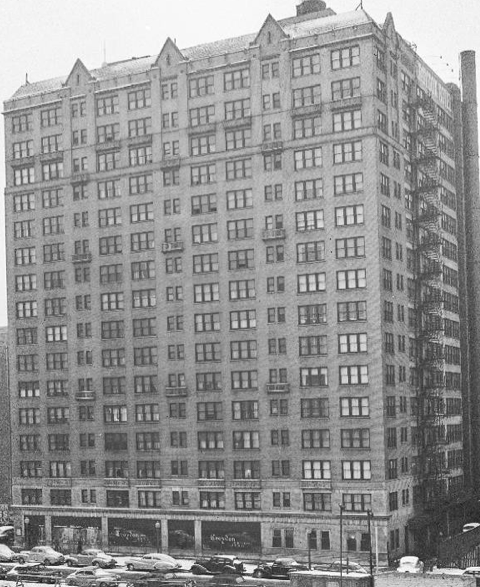 He finally got a job at a place called La Martinique on 57th Street in Manhattan; a very important club to send people into a different [strata]. 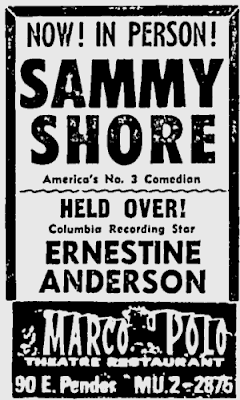 If the Copa wasn't going to book them or the Latin Quarter wasn't going to book them or they weren't a Blue Angel type of comedian, which was an East Side chi-chi kind of a club, this was a way to get started. It was a sub-cellar and you had to walk downstairs. I went in one night with Peter Marshall. I was with Peter Marshall and there was Buster Keaton! So we both stood and talked with Buster Keaton. I remember it very well. A very memorable moment at La Martinique. Kliph Nesteroff: I can imagine. Bobby Ramsen: Jan Murray played La Martinique. Eventually somebody bought it and it became The Celebrity Room. I played it when it was The Celebrity Room. But it was a wonderful nightclub! Ben Blue! I saw Ben Blue there - a terrific comedian and a funny, funny man. Anyway, so when Danny Thomas got the job to go into La Martinique... the people in those days, Kliph... you could go into a nightclub and stay there for a solid year or two and never change a word of your act because television had not come around yet! 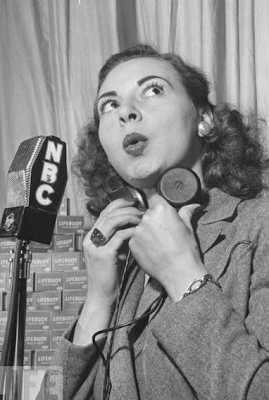 People were not used to the idea of new material, other than on radio. 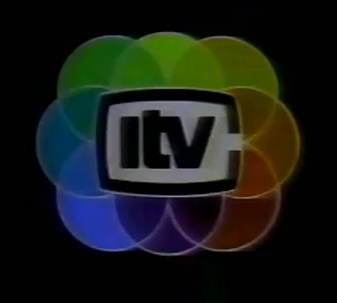 When [television started you needed] new material every single week. I remember we were sitting around with Sid Caesar talking about comedy. He said, "It's like a faucet now. You put the television on and it's like turning on the faucet! Keeps on running and running and running... the material. You need new material and new jokes." Before that you built a following that wanted to hear the Jack Story again. They'd bring along people they wanted to hear the Jack Story. You get what I'm saying? So you built up a following. Joey Bishop was a Philadelphia man. A Philadelphia comic. Went into a place called the Vine Gardens in Chicago and stayed a year! 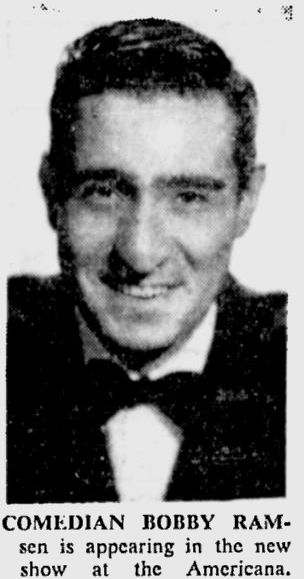 Danny Thomas went into the 5100 Club and stayed a year or better. When he got the job at La Martinique, a crowd of people that had seen him at the 5100 Club [came] to give him a big send-off in New York - which was always the number one city. They don't call Chicago the Second City for no reason. New York was always "it." So they hired a special car on a train, all came in, checked into a hotel and all came to his New York opening. That's the kind of fans there were in Chicago. They're that way to this day. If they fall in love with you - it's forever. You can do no wrong. The English were that way for Danny Kaye. Even when things weren't going so well for him in the States, he was always loved and well-respected and adored and idolized by the English. 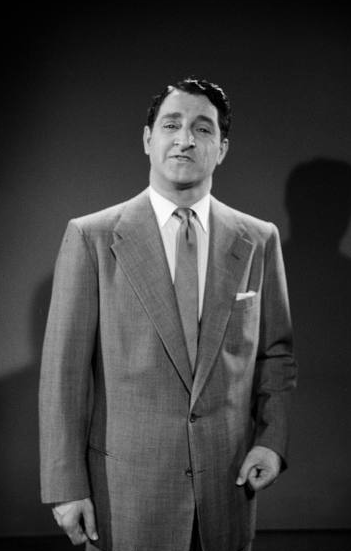 Kliph Nesteroff: One of my all-time favorite Shecky Greene bits is his routine about Danny Thomas. Bobby Ramsen: He does a great impression of Danny, yes. So there you go. He must have gone to the 5100 Club to see him many times. He's got an imitator's ear and he's a good impersonator. You ask Shecky about the 5100 Club and he'll probably tell you that he went there very often to see Danny Thomas. 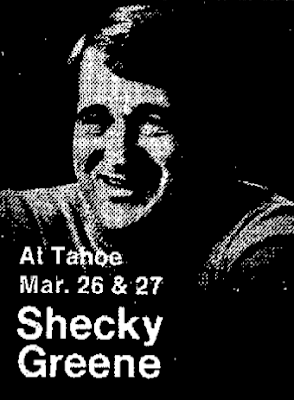 Shecky - when he played Vegas - his crowd used to come from Chicago. 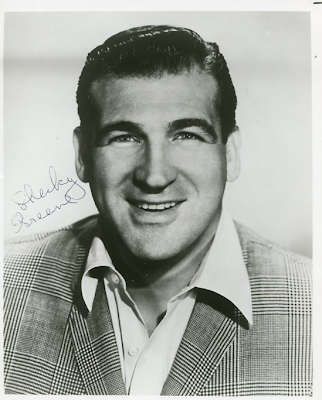 The only thing I can tell you about Shecky without going into a whole big thing... I just want to say this. 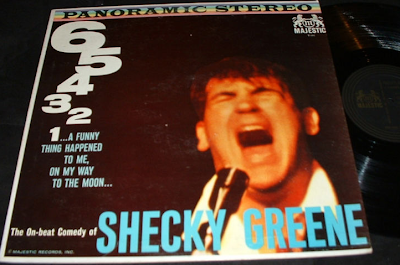 Don Rickles was the first one to mention that without Shecky Greene opening up comedy in lounges... it had always been musical groups in the lounges. 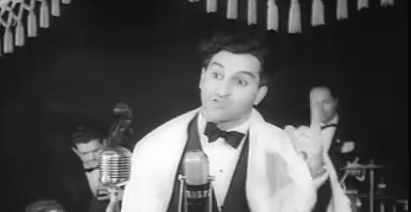 For some reason Shecky got booked in as a comedian at The Tropicana Hotel. I believe I'm right about this. When you talk to him today, ask him about it. He was such a big hit at The Tropicana that not too long after they booked Rickles into the lounge at The Sahara Hotel. That's where Rickles started to make his name and the rest is history. But Shecky is the one who was the first to work the lounge. The Tropicana usually had big Follies Bergere type of shows, big lavish productions with girls with naked breasts and all that great stuff. 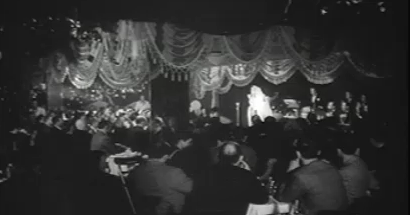 It was more Latin Quarter than it was Copacabana, but they put Shecky into the lounge and he was a big hit. He was a good actor. I think he was on a show called Combat. For some reason I came into New Orleans and I was going to open in a place called La Lune Club. 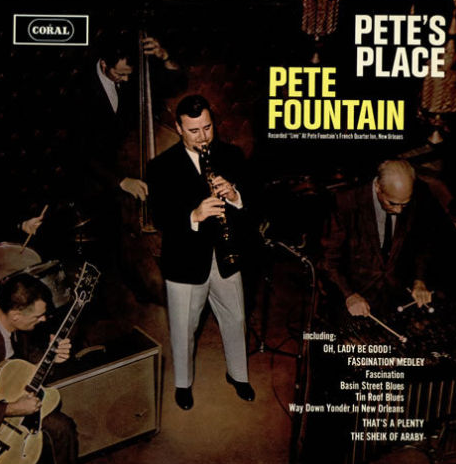 It later turned out to be Pete Fountain's Place. He bought the same venue and turned it into Pete Fountain's Place, but it was right in the heart of Bourbon Street. I bumped into Shecky and he knew the boss at La Lune. He took me to a few of the places. He said, "Bobby, come with me and I'll introduce you." He introduced me to a few people which was so generous of him and I never forgot it. It was such a nice gesture for him to do that and make me feel at home in New Orleans. Then I saw him in Vegas. Whatever it was he was a name in Vegas, he was a name in New Orleans, he was a name in Chicago. He did play The Copacabana, but I don't know how that went. You can ask him about that. Then he disappeared for a while. Maybe he'll tell you about that and maybe he won't. He has been living in Florida and doing all the shows down there. There are lots of places to do shows at the retirement homes and resident villages and so forth. 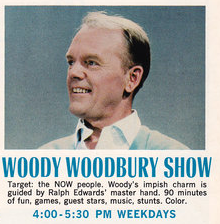 Kliph Nesteroff: One of the people I talk to down there is Woody Woodbury. Bobby Ramsen: Oh! I did his show when he was in California. He was very nice to me. He was on the air for a while with that show wasn't he? Kliph Nesteroff: The syndicated Woody Woodbury Show was on the air for a few years and then he had a falling out with Ralph Edwards. 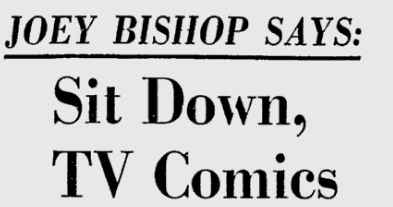 Kliph Nesteroff: Then they revamped the show, the same syndication package, and apparently gave it to Merv Griffin. Bobby Ramsen: Oh my God, how interesting. Merv's show originally came out of New York and that was the same timeslot for Westinghouse. Kliph Nesteroff: I wanted to ask you about one of my all-time favorites - George Gobel. 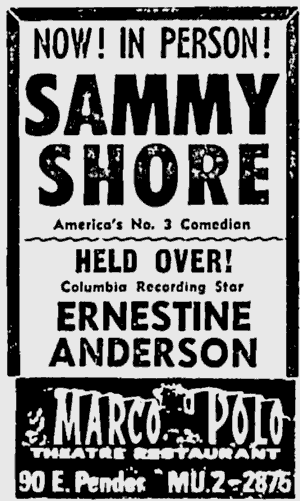 Bobby Ramsen: George Gobel was also out of Chicago. There was another comedian named Paul Gilbert who was a name in Chicago and more or less stayed in Chicago. There was a load of Chicago comedians. Eddie Marr. His son is the actor who played a German in The Producers. He played the guy up on the roof with the pigeons. 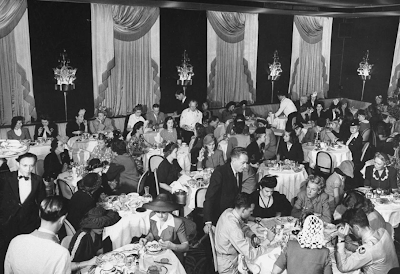 Chicago was well-known for one-nighters. They had more work in Chicago [than any other city]. People used to say, "Looking for [showbiz] work? Go to Chicago!" New York was also a busy town. That work has dried up completely, but there was so much work at the big hotels, the ball rooms of the big hotels... companies like Merril Lynch and groups like the jewellery business people or the luggage people would throw dances and parties at these hotels and they'd book a show. In Chicago, George Gobel was the king of the one-nighters. He did more one-nighters than anybody else and was adored. 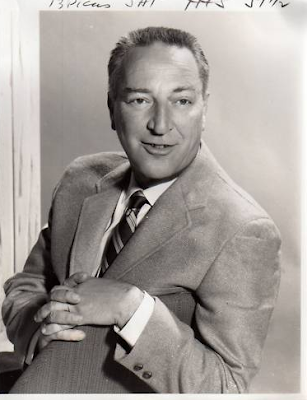 Jack Benny used to have Jack Paar fill in for him [on radio]. Jack Benny used to take off for the summer and it was The Jack Benny Program starring Jack Paar for ten weeks. 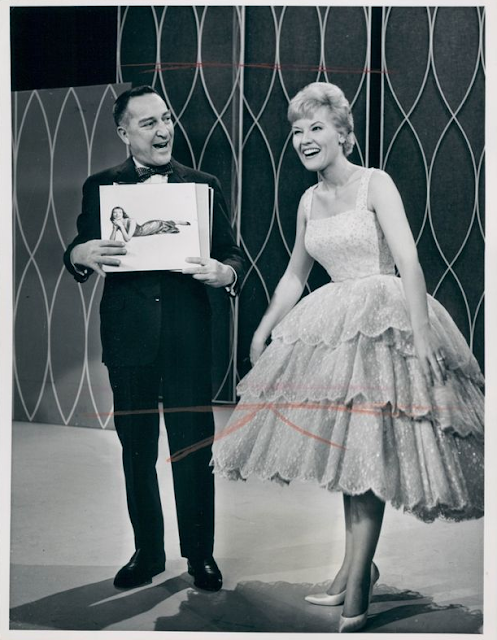 Gobel later came on as a replacement for Jack Benny and they gave him his own show. The rest is history. America fell in love with him! He had a wonderful television career and a bunch of movies. All the acts in Chicago used to stay at the Croydon Hotel. It became famous. I played in Chicago - I think it was called The Silver Slipper. I played another place called The Edgewater Beach Hotel with Sally Blair. I played Mister Kelly's on Rush Street. Bobby Ramsen: That was my first gig [at The Copa]. July 20, 1961 we opened. I played it six or seven times. I was a big hit at The Copa. I was a Copacabana comedian. Kliph Nesteroff: That was a few years after LaRosa had his falling out with Godfrey. Bobby Ramsen: Yes. That whole thing really backfired on Godfrey because... you could probably get Julius on the phone. He's the sweetest guy in the world. He'd be more than happy to talk to you. I wouldn't be surprised if he was in the telephone book. You must ask him about it. What happened with Julius, you know, it was just terrible. To fire someone on the air was so mean. It made Godfrey look bad and he got some bad publicity... his reputation it started to... Did you ever see The Great Man? The movie? Kliph Nesteroff: No, I don't think so. Bobby Ramsen: It's with Jose Ferrer. It's about Godfrey. Bobby Ramsen: Yes! It's the Godfrey story! 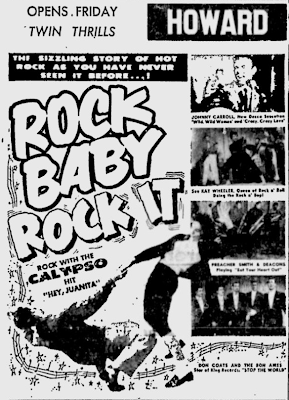 Kliph Nesteroff: Jesus, how come I haven't seen that? Bobby Ramsen: I believe it's The Great Man with Jose Ferrer. You must see that movie. They never show it, but it's the Arthur Godfrey story. The real Godfrey broke down on radio announcing the funeral of President Roosevelt in Washington. It became famous. He became so emotional. As it turns out, the whole thing was acting. You know what else is a piece of this? A Face in the Crowd! That's Godfrey also! Kliph Nesteroff: I'm looking it up. The Great Man. It says here it's never been released on VHS or DVD... an amazing cast... Jose Ferrer, Keenan Wynn, Ed Wynn, Julie London, Jim Backus, Edward Platt... wow. Kliph Nesteroff: Oh! 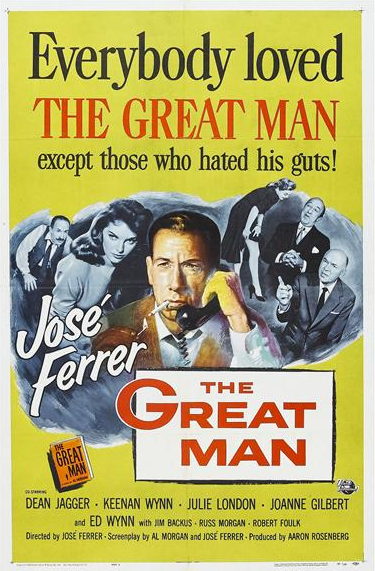 Written and directed by Jose Ferrer! Bobby Ramsen: Ohhhhhh.... so interesting! My God! I wish you could get your hands on a copy of that. You'll love it. You'll love it. It's the Godfrey story. 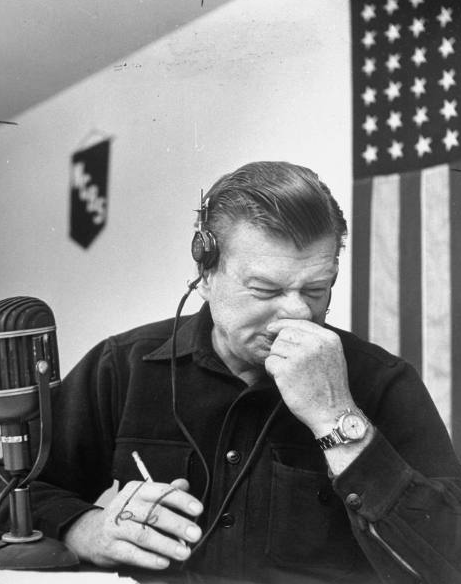 Arthur Godfrey goes Ozark (laughs) in A Face in the Crowd where he became so big and then is overheard on a mic what a terrible person he really is. Kliph Nesteroff: It's the type of story that has been done many times and very well many times - about the great star who is beloved onscreen, but is a monster in real life. There's the teleplay The Comedian starring Mickey Rooney based on the Ernest Lehman short story. Bobby Ramsen: Oh, yes, I remember that. 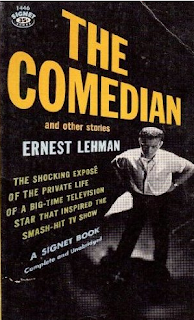 Kliph Nesteroff: I believe it was based on what Ernest Lehman saw backstage when he was assigned to write about Milton Berle. Bobby Ramsen: Well, it could have been the Red Buttons story also because Buttons became a monster backstage. Oh, God, he was terrible. He fired people who later became the icons of American comedy! 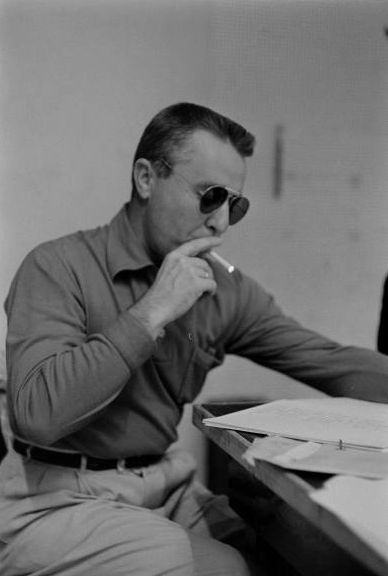 The people that put together M*A*S*H - Larry Gelbart. He fired Gelbart. 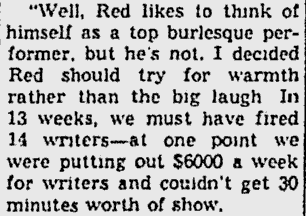 Red had different writers every week. "They're not sending me out naked again! This is the worst crap I have ever seen!" And so on and so on and so on. He was a little monster backstage. Very, very hard to work with and [his show] didn't last. But looking back on it, he came up with some pretty good characters. Kliph Nesteroff: Is this Red Buttons or Red Skelton? 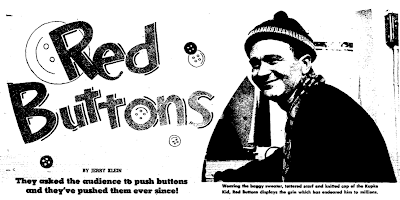 Bobby Ramsen: Red Buttons. Oh, but Skelton was the same thing! He had a reputation. He never even looked at the writers. He never talked to the writers. He'd make them slip it under the door! He wouldn't talk to them. It's in the book. Didn't we talk about it? Kliph Nesteroff: Which? The one by Arthur Marx? Bobby Ramsen: No, no, although I'm sure it's in there too. No, the Comedy Crafters or something like that? Kliph Nesteroff: Oh, yes, The Laugh Crafters. Bobby Ramsen: Yes! They talk about it in there. You know, I have got to tell you the truth about that book. Most of the stars that they talk about come off very badly in that book. A lot of them. The big surprise was Mr. Mellow, Perry Como, throwing scripts across the room. He came off very poorly and Skelton who wouldn't talk to anyone. A lot of them had personal problems. Kliph Nesteroff: Yes, well I interviewed Sherwood Schwartz a little while ago. Bobby Ramsen: Oh! That must have been wonderful! 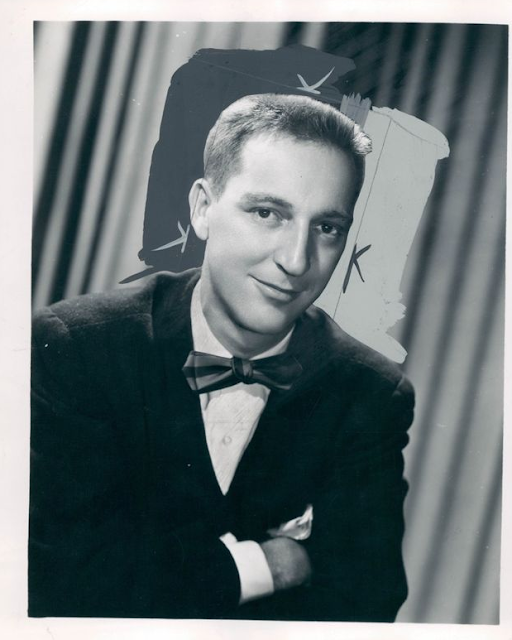 Kliph Nesteroff: His first job was writing for The Alan Young Show on radio. 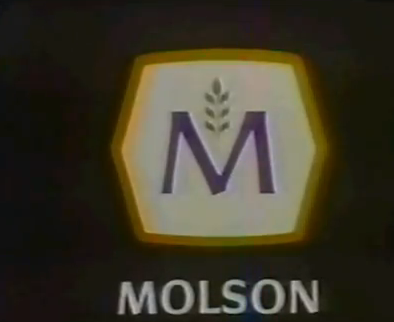 Bobby Ramsen: Yes, I remember that show. 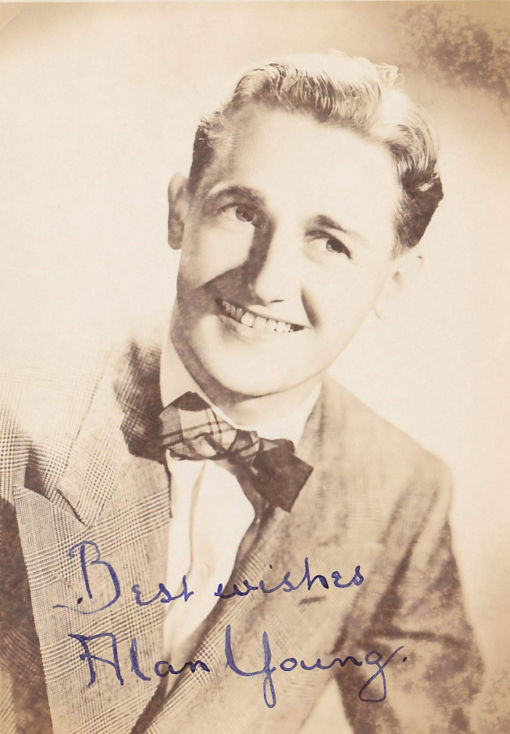 I used to see that show because it was at NBC in New York and when I talked about that little lounge where actors used to hang around, one of the studios that Alan Young came from - it was a wonderful little show! With what's his name - Jim Backus. That's where he found that character that he did on Gilligan's Island - it was on The Alan Young Show! Isn't that something? Kliph Nesteroff: Yeah, his character on The Alan Young Show was Hubert Updike the Third and then on Gilligan's Island he was Thurston Howell the Third. When I spoke with Sherwood Schwartz we talked a bit about that. I talked to Alan Young too. He's still alive and really a sweet guy. He told me he didn't like Sherwood Schwartz writing for him because Alan was just this young kid from Canada and all his writers inserted these New Yorky Yiddishisms in the script - and he just couldn't understand the humor. 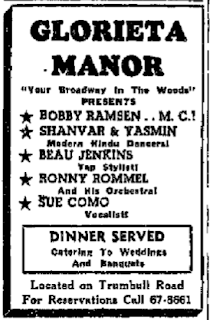 Bobby Ramsen: Yes, couldn't understand the rhythm and the whole New York scene and whatever. Bobby Ramsen: So what you're saying is that Fred Allen took those two characters? Kliph Nesteroff: Yes, he wooed them away. Bobby Ramsen: Wow, that is so interesting. Kliph Nesteroff: But Alan Young actually created them. He was the one who created them and wrote them into the show in the first place. 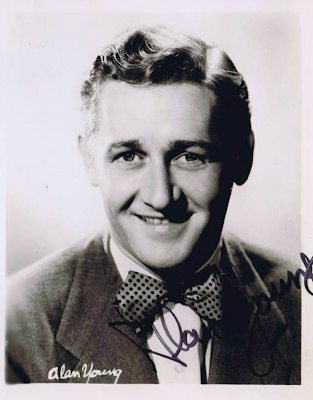 Alan Young was responsible for a lot of his own material both on radio and especially later on his Emmy winning variety show. 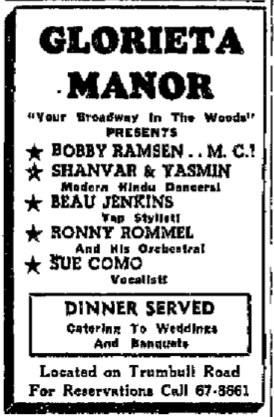 Bobby Ramsen: Oh, what a great piece of show business information. Well, that made Kenny Delmar famous! For heaven's sake, he ended up doing a movie about that character. Kliph Nesteroff: It's a Joke, Son. Bobby Ramsen: Yes, that's right. Well, I must tell you I used to walk in and watch the warm-up of The Alan Young Show. It was some of the most hilarious things I had ever seen. They'd put on a show for the studio audience before they went on the air to put them in the mood. Absolutely hilarious comedy! It was absolutely wonderful! 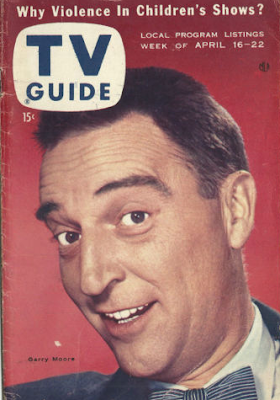 Kliph Nesteroff: And Jim Backus was one of the people that would do the warm-up with Alan wasn't he? Bobby Ramsen: Yes! They had a stooge in the audience and the stooge would say, "I hope this isn't going to be the kind of stuff you're gonna do when we go on the air!" Alan Young then pulls out a gun and shoots the guy. Bobby Ramsen: I mean, it was real wacky, Spike Jones kind of stuff. So hilarious! It was a scream! An absolute scream! Kliph Nesteroff: Well, Alan Young is so very underrated. He became the headwriter of his own show - and that was very uncommon for the star of a show to be the headwriter. Bobby Ramsen: I think you're absolutely right. I certainly wasn't aware of it. I thought he was just a nice looking guy and he had some wonderful characters. Great, great characters. Kliph Nesteroff: I was impressed in doing the research. 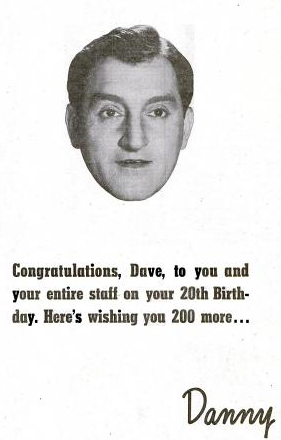 Because I - like most people - didn't really know much about The Alan Young Show. I knew him from Mister Ed, where he was playing straight man to a horse and didn't have much in the way of funny lines. And Mister Ed is not a funny show. It's memorable, but it certainly isn't good. Bobby Ramsen: Yes, very interesting and so true. Kliph Nesteroff: So I had no idea that he was such a great wit and such a great talent. Researching The Alan Young Show really hipped me to that. A lot of it holds up. Bobby Ramsen: It's wonderful that he was forthcoming in talking to you about all of that. I remember those fond memories of going in and watching that warm-up. I'll never forget it. I saw it a few times. So absolutely hilarious and they'd turn the whole studio upside down with all sorts of funny gags. The audience was howling when they went on the air and it was a delightful show. It was a low-key comedy, but he did it so well. It was like a Bob Newhart type of thing. 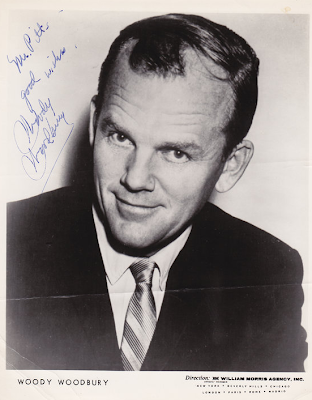 Bobby Ramsen: He made a few movies too - Androcles and The Lion. Did you say he's living in California? 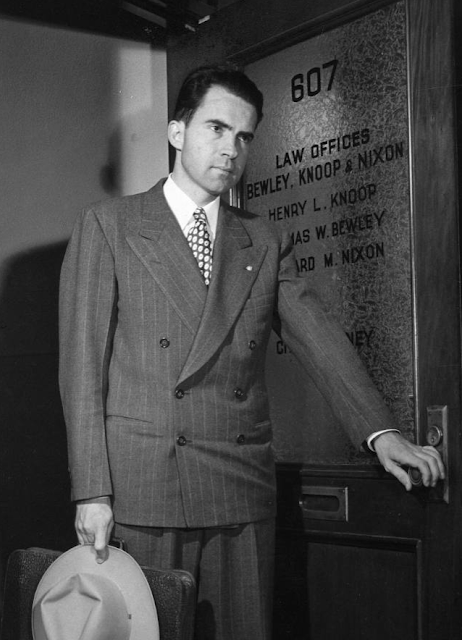 Bobby Ramsen: Well, what happened was when President Kennedy came in he appointed Minow to be head of the FCC. Newton Minow said he was going to clean up television and get rid of the violence on television. You can imagine how tame it was then compared to what we have today. This was a mini-crusade. The only joke that I was doing about violence on television was, "I see President Kennedy has appointed Newton Minow as head of the FCC and he's going to put a stop to violence. I approve of what he says. He's absolutely right! I'm tired of turning on my television set as I'm bringing up my young son and having my little boy watching beatings! And murder! And arson! And mobs! And screaming! I am the first one to say it! Take off the six o'clock news!" Bobby Ramsen: Here's the story with the Kennedys. This young writer and myself sat down to work on some topical jokes. President Kennedy had just been elected. Some of the topical jokes if I could remember... "Here we are, we have a young president, John Kennedy, who has come into office. He has appointed Newton Minow." I would do that joke. Six O'Clock news. "It's great to have a young president. And it's such a hard job to be president, my gosh. He's only president for two weeks and already he's in a rocking chair!" They had brought down this rocking chair because of his bad back. I think one of the other jokes was, "They not only brought down his rocking chair, they brought down his hobby horse! He went out and appointed his brother Bobby as Attorney General and his brother-in-law as head of the Peace Core and his sister Eunis is starting a group for the Special Olympics. I think it's wonderful that the US Government is now known as One Man's Family." Now that line was stolen by Newsweek who a few weeks later had a two-page article about Kennedy and what he's doing. Across the top it said, "One Man's Family." They took that line. Another line that they took was during the Bay of Pigs. The joke that I was doing at the time, "I think it's time President Kennedy stops using [his daughter] Caroline's advice on invasions" or something to do with that. So I did all of this. 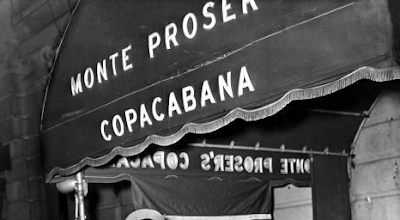 Then there was a feature article about Bobby Ramsen at the Copacabana. It was very impressive and very important and everybody was talking about it. Especially my family (laughs). I came downstairs to do the show. I had just opened a few days before that. I opened in July 1961, they brought me back in November. I opened with Julius LaRosa and then I went in with Steve Lawrence and Eydie Gorme and I was still doing some Kennedy jokes and a few others. One night I came downstairs and you have to walk through the audience to get to the stage of The Copa. Sitting at the table was Pat Lawford. So I walked over to her. 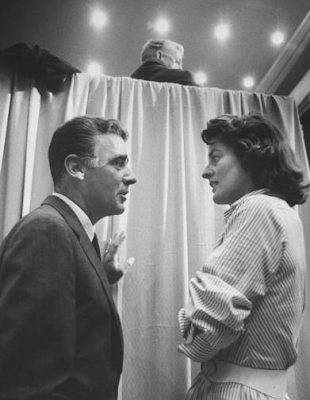 I have to be honest with you, I have a feeling that she had come down to hear what I was doing about Kennedy. In the article in the New York Times it mentioned that I was doing a lot of jokes about President Kennedy. He read the New York Times as presidents do. He called Pat in New York and said, "Go see what he's doing about me." I did all the jokes [that night], but I introduced myself. I said, "Mrs. Lawford? I'm Bobby Ramsen. I'm the comedian on the show." She said, "Oh, is that right? Nice to see you." So I went on and did all the jokes - and she left after I was through. She didn't even stay for Steve and Eydie. She had come in and she sat down alone. She probably said, "I just want to see the comedian." This is a true story, Kliph. I was audited for three years in a row right after that. I had a feeling it was because of that. I wasn't doing anything - there were a couple more - but the jokes were innocuous. I met Mort Sahl one night. 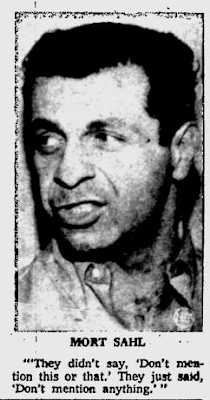 Mort Sahl had been very close to the Kennedy family and then that friendship ended. He said to me, "Super sensitive. They're super sensitive to humor." 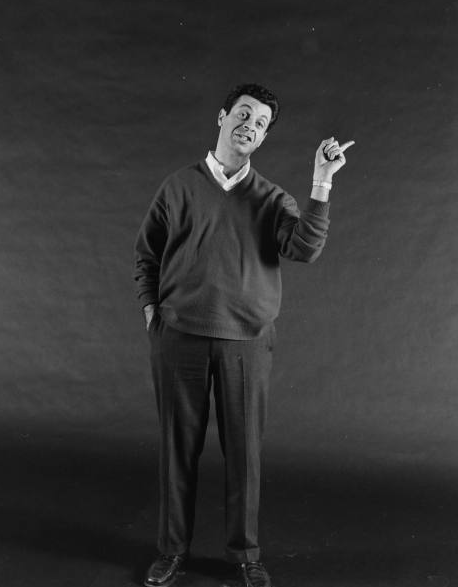 At that time Mort Sahl was doing Nixon jokes. 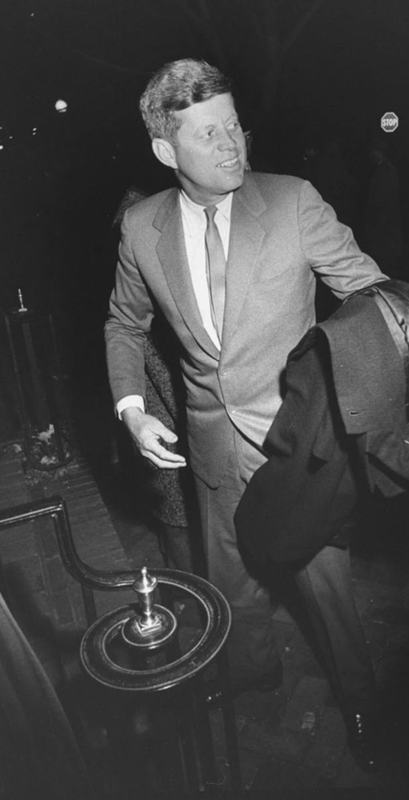 He was murdering Nixon with humor - came out with the newspaper and he killed him. Then as time went on he started to do Kennedy jokes and he said to me, "Everything was fine. I was getting along with everybody in that family. I was invited to places. I could go anywhere and they loved me. As soon as I started to do Kennedy jokes the whole picture changed. They didn't talk to me." Nixon jokes fine, but it was different when he started doing Kennedy jokes. So they came down on me. It was just an annoyance to be bothered like that. Kliph Nesteroff: When I spoke with Bill Dana he told me that he got audited almost every year by the Nixon administration. Bill briefly had his own satirical panel strip that was syndicated in a number of newspapers. It was called Ecolo/Jest - about the ecology movement and it was critical of Nixon. The IRS started showing up at his house and measuring his office to see if they could catch him exaggerating the amount he was writing-off on his taxes and all kinds of things. Bobby Ramsen: Yes, yes, yes. I believe every word of it. You know, once you're in the system - they'll do it to you for not just one year, but for a couple or three or whatever. It doesn't go away right away. You're in the system and they keep on top of you. My salary - we're not talking big bucks - but the annoyance of it. Even to this day it could happen. 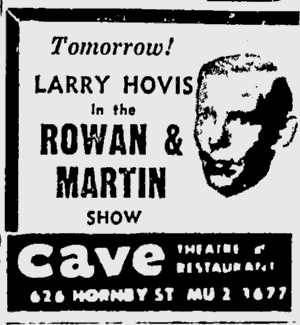 It was in Earl Wilson's column that Pat Kennedy Lawford had stopped by to catch the show with Bobby Ramsen. You can't please everybody. Kliph Nesteroff: I want to ask you about your debut on The Garry Moore Show. What was that like? 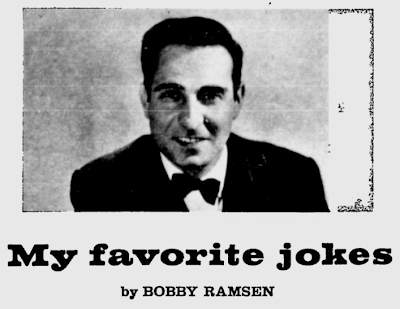 Bobby Ramsen: I opened at the Copa, I got rave reviews, all of my jokes were quoted. I was in every column. My publicist said to me, "I don't believe the coverage you're getting!" All of the topical stuff was in the newspapers and everybody's column. Wilson and Winchell - these were all very important show business things. This was 1961. It was still part of the [scene]. They were still important factors. 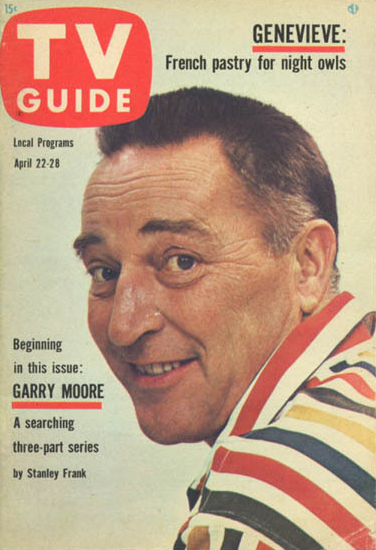 Alan King did a lot of Garry Moore shows and they always had a spot on their show for stand-up comedians. So, I got a call to do the show. I was delighted, of course. I did my credit card routine. Garry Moore, without a doubt, was one of the sweetest, soft-spoken, kindest and made me feel right at home. He asked me questions about my career and about the Copa. 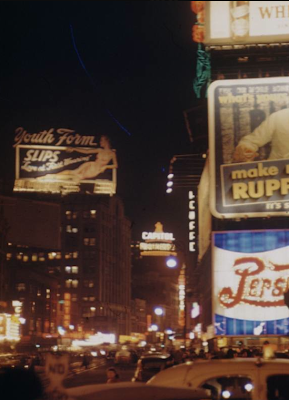 It was all done in New York in what was turned into the Ed Sullivan Theater. It's a beautiful theater. It was a studio theater when I was a kid! I used to go there every once in a while when I was a little boy. 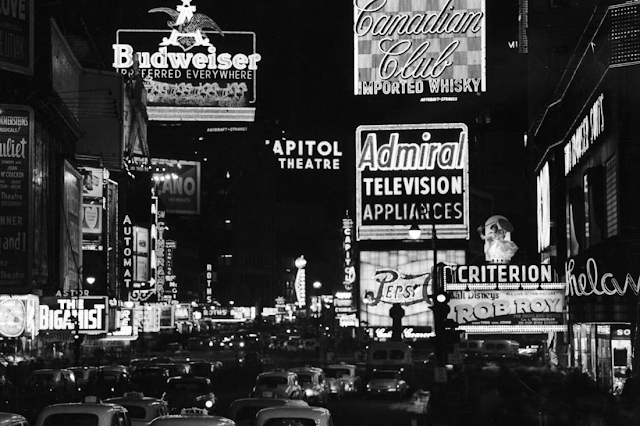 The Lucky Strike Hit Parade came from that same theater. It was a radio studio, but it was a radio studio with important shows where they wanted a big audience like the Dr. IQ quiz show or something like that. Durwood Kirby couldn't have been nicer and especially Carol Burnett. We all took a bow at the end of the show and they mentioned all the names of the people. When they mentioned my name she squeezed my hand. She was just an absolute doll to work with and it was a great experience. The only thing that gave me a problem was that they had a big opening number. The guest stars were always included in the opening number. I think this was in February around George Washington's birthday. So they had this big minuet Washington era [number]. They put me in tights and a wig! They gave me this guy and they said, "He'll be your dresser." I'm used to standing backstage and thinking about what I'm going to do [in my stand-up act]. Here, I had to be in the opening number with a couple of turns and twists doing a minuet, then go offstage and in a matter of two minutes, take off the clothes, take off the wigs - and I always took care to make sure my hair was combed just right (laughs)... So here I was... I just made it when Garry said, "Here's our guest. Comedian Bobby Ramsen!" I only did one rehearsal. They did a run-through and they said, "This is where Bobby Ramsen does his spot." They asked me to do it for just the handful of people and the writers were all there. One of the writers standing there was a guy named Woody Allen. He was part of the group. One of them said to me, "Next time you come on... don't be so damn witty." That was a very nice compliment and he said it with a smile on his face. That was my experience with The Garry Moore Show. I never did it again.